Pies gives you the lowdown on football’s Houdinis. With the odds stacked against the Baggies on the final day of the season, they did the only thing they could and beat Portsmouth 2-0. Elsewhere, Crystal Palace drew with Charlton, while Norwich and Southampton both lost. West Brom became the first club to be bottom of the Premier League at Christmas and avoid relegation. Most teams would be happy to overturn an eight-point deficit in the final seven weeks of the season, but Oldham did it in seven days! Joe Royle’s men won their final three matches of the season against title-contenders Aston Villa, Liverpool and Southampton. Safety was secured on the final day of the season as they defeated the Saints 4-3 in an end-to-end encounter. It all seems so long ago, but it was only last year when Carlos Tevez scored a winning goal against future employers Manchester United to keep West Ham in the Premier League and relegate Sheffield United. The Argentinian striker, whose transfer was the subject of close legal scrutiny, was the Hammers’ talisman in a six-week run to avoid the drop. It was calculators all round for Frankfurt in 1999. They were four points behind with four games left, but three wins in a row gave them the slimmest of slim chances of survival. On the last day of the season they needed to beat Champions League hopefuls Kaiserslautern and, if results went against them elsewhere, score five goals. With time ticking away in the first-half and the score at 1-1, Frankfurt’s only hope was to score three more goals to pick off Nurnberg who were 2-0 down against Freiburg. They scored three goals in 12 second half minutes to put them tantalisingly close to safety, only for Nurnberg to pull a goal back in the 86th minute of their game. But there was one final twist as Jan Aage Fjortoft netted to keep Frankfurt up on goals scored. 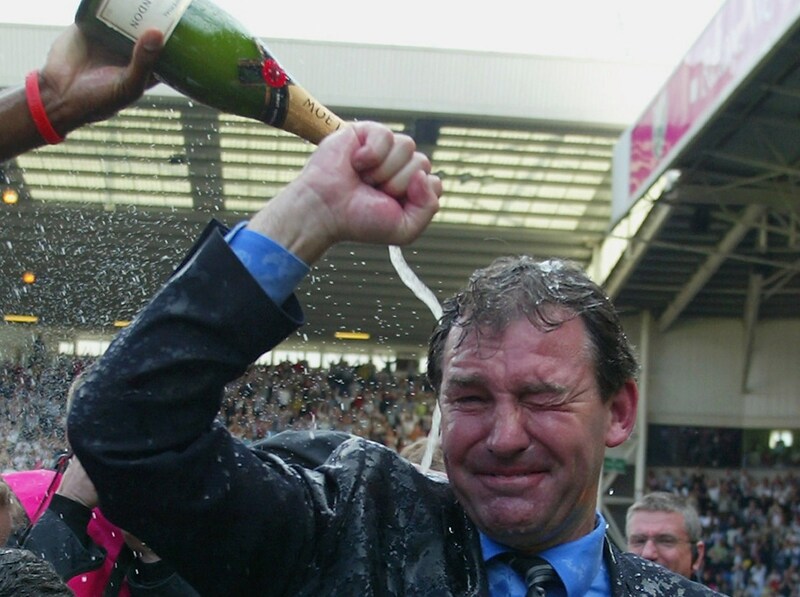 Brighton were 11 points adrift at the foot of Division Three in December 1996. Everything that could go wrong was going wrong, including plans to sell their stadium off and a two-point penalty following a pitch invasion. The Seagulls went on a tremendous run from March and ensured they stayed in the Football League with a 1-1 draw against Hereford on the final day of the season. Bradford and Wimbledon were level on points going into the final game of the season, but the Dons were ahead on goal difference and faced Southampton. Bradford on the other hand were up against Liverpool. Wimbledon lost, Bradford beat Liverpool thanks to a David Wetherall goal and stayed up to fight another day. Carlisle started the final match of the 1999 season bottom of the Football League, a single point behind Scarborough. Into injury time and Carlisle were drawing 1-1 with Plymouth. The result would not be enough as Scarborough had picked up a point. Step forward on-loan keeper Jimmy Glass who scored an invaluable 95th minute winner. Struggling Everton needed a final day victory against Wimbledon to avoid relying on results elsewhere. Things weren’t looking good when Wimbledon went into a two-goal lead. But a Graham Stuart penalty and a stunning strike from Barry Horne but the Toffees back in contention. Stuart then scored a goal that would form a large basis of match-fixing allegations against Hans Segers. The keeper was later cleared of any wrongdoing, but his attempted save remains inexcusable. The Sky Blues looked doomed going into their final match of the 1997. But the relegation dogfight veterans pulled it off. They beat Spurs 1-2 away and pressed their ears up against radios to wait for confirmation that Sunderland and Middlesbrough had both lost. Easy as that! Roy Hodgson won’t be counting his eggs before they’ve hatched or partaking in any animal-related cliches just yet. If Fulham do manage to stay up it willgo down as one of the great relegation escapes.